This provocative non-fictional narrative details the author's experiences as mother of son who has sustained a closed-head injury as well as one who also sustains a brain aneurysm. In between these traumas, her husband has a heart bypass. Depressive? No! Intriguing? Yes! Every chapter contains humor, pathos, and proof that every individual has an indomitable spirit. After the narrative there are unique fables, anecdotes, and poems. The author graphically conveys the importance of treasuring every second of life. It takes only one split second for life to change. Ms. Hoppe has now passed. She wrote this book to help others understand the process of recovery for the family and individual who experiences a traumatic brain injury or other health challenges. Before her passing, she was a retired insurance agent who worked tirelessly to promote the welfare of those not as fortunate as she and her son, Danny, on whom this book focuses. Both Sue and Danny experienced brain injuries. As a mother having helped her son develop into a healthy young man from a serious accident leaving him with a closed-head injury, she understood the stages which families must experience in order to help the child heal. Having experienced her own brain aneurysm, she understood first hand what one experiences when coping with recovery and rehabilitation. 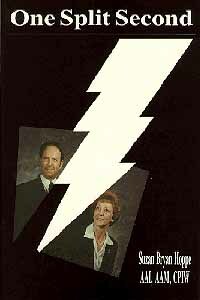 And if there were ever a book that deals with the effect illness has on a marriage, this is the one. Sue poignantly shares how she and her husband, Doug, weathered the storm and succeeded in forging a stronger marriage until her death. This is a must read book for anyone experiencing similar circumstances.